Nothing keeps you on track like a checklist. And in good WordPress fashion, there are a number of different plugins available that will let you put checklists on your site. Some of these are strictly backend checklists meant for yourself or your team. 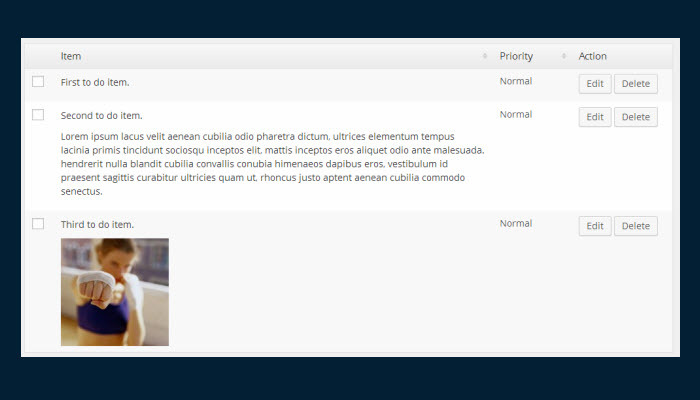 Others, however, are lists you can put on your frontend for your visitors. We’ve got five for you. Check them out. This very handy plugin lets you make checklists and put them on your site for your visitors. By default, it keeps cookies, and so users can check off items and then come back later and see what they had previously check. In my limited tests, it worked perfectly. Of course if a user deletes the cookie, their check marks will go away, so it might be best to warn them about this. This plugin also has the ability to automatically create a PDF of the checklist. Interested in 1. 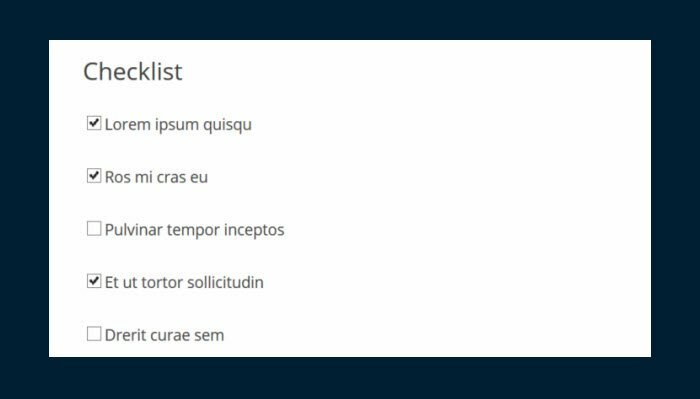 Frontend Checklist? 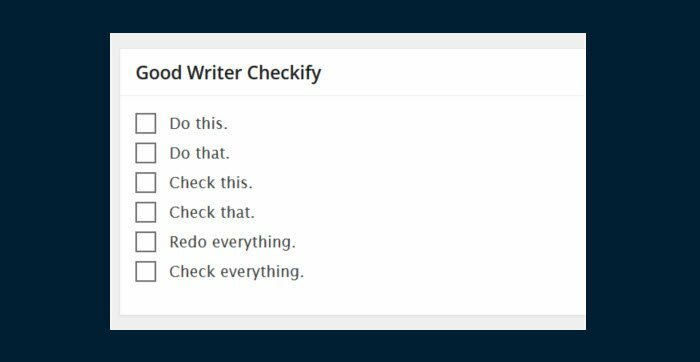 The Good Writer Checkify plugin lets you set up a personal checklist to put on your write/edit screen. This can help remind you of important things every post should include. For example, you might remind yourself to punch up your headline/title, SEO your post, apply appropriate tags, get good images, etc. Of course the nicest part about this plugin is that you create the list yourself. It’s a very handy way to keep you on track. Interested in 2. Good Writer Checkify? 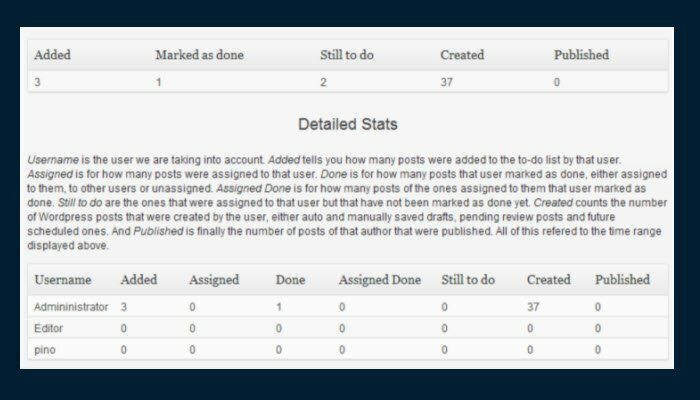 The Cleverness To Do List plugin is a powerful little tool that lets you set up To Do lists in your admin area. You can choose to make individual lists (i.e. each user only sees his/her own), group lists (only users in the group see the list), or master lists (everyone sees the list). You also have lots of choices when it comes to setting up the list. For example, you can allow a WYSIWYG editor on the list creation area to make it easy to insert all sorts of media or styling. You can also do things like create groups for different lists to help organization. Once a task is checked off, it gets moved to a completed section. If you’re a list maker, this could be a very handy tool to have at your disposal in your backend, especially if you’re working with others. Interested in 3. Cleverness To Do List? 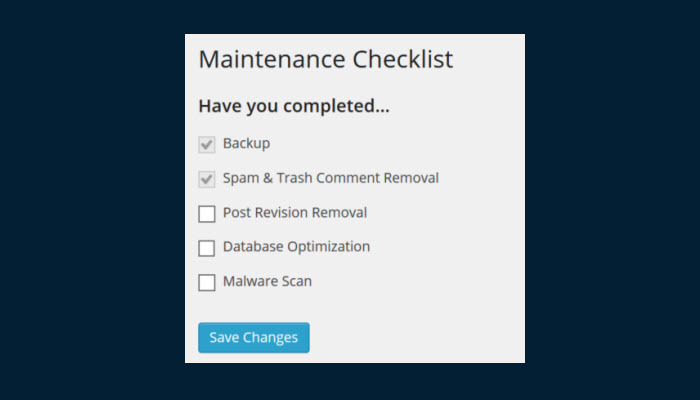 The Maintenance Checklist plugin is a simple but handy little tool that puts a checklist in your admin area. You can add or remove tasks from it as you like. And you can also set tasks to come due again on a daily, weekly, or monthly basis. Although billed as a “maintenance” checklist, the truth is you could use this for anything. As it lets you delete and add tasks as you like, it’s really up to you what you put in it. Interested in 4. Maintenance Checklist? 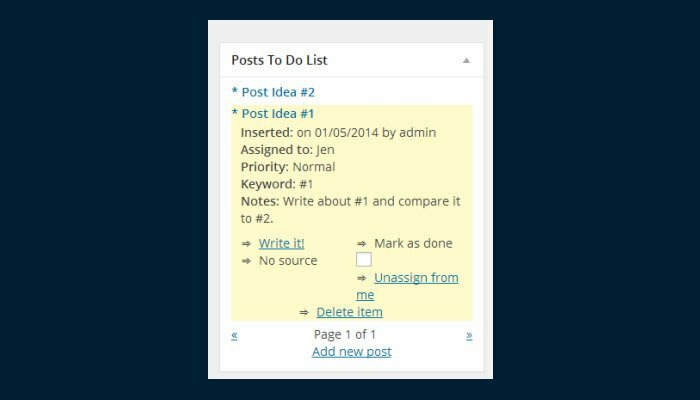 The Posts to Do List plugin lets you create assignments and then assign them to other members on the team (or to yourself, of course). Writers can then check off the posts they’ve done (or whatever task is assigned – it wouldn’t have to be a post). It also gives you a handy overview. Interested in 5. Posts to Do List? 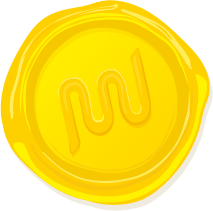 Nice Posts for us. Would help a lot.